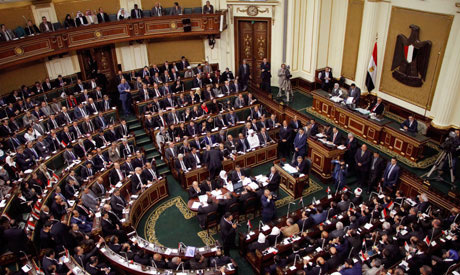 The secretary-general of Egypt's parliament Ahmed Saadeddin announced Sunday thatplenary meetings will be held on Wednesday morning to take a provisional vote on a report prepared by the general assembly on proposed constitutional amendments. The amendments aim to increase the length of presidential term from four to six years, appoint a vice president,amend regulations on the judiciary and recreate a second upper house by the name of the Senate. A report by parliament's general committee recommended that the proposed amendments be approved in principle.